Rest in Peace Google Places. For those of you that have created local Google+ pages (with social features) — good news! Today, you can become the verified business owner for that local Google+ page. If you’re ready, just click on Verify now on the right side of the page. 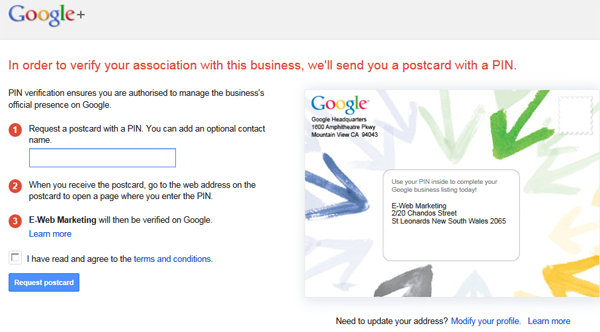 You’ll need to verify that you’re representing your business by having a postcard sent, even if you’re a verified business owner on Google Places for Business. 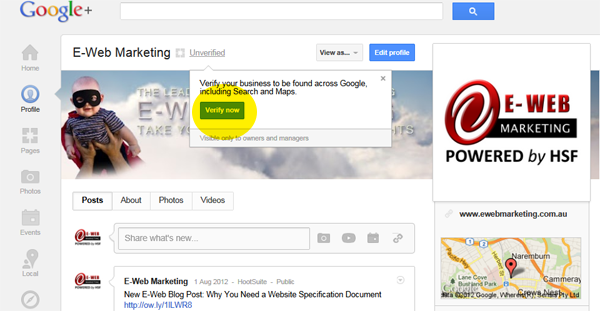 Also note that verification will only work for pages created in the “Local Business or Place” category in Google+. Got questions? Reply here — I’ll update this post with answers. The good news is that the information from your Google Places page will already have migrated to the new layout of Google+ Local. At time of writing however, the only method of verification requires local businesses to have a social Google+ Page account. Verifying your location is simple! 2. 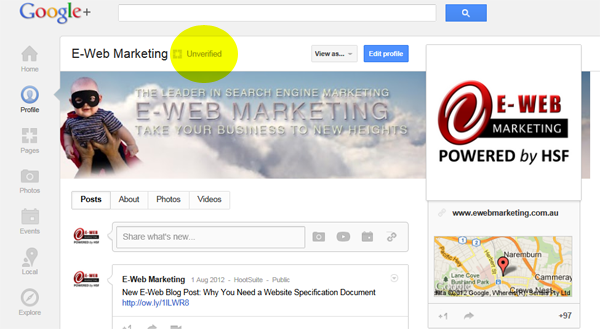 Click on “Unverified” next to your Google+ Page name. When the popup appears, click on “Verify now”. 3. Google will detect similar pages to yours from search and maps. Check the business name and address before verifying. 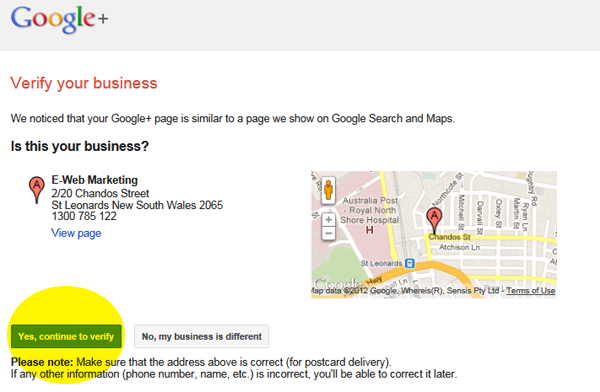 If the address is incorrect, click on “No, my business is different” and follow the process. If the details are correct, continue by clicking on “Yes, continue to verify”. 4. If you are responsible for the verification process, include your name in step 1. Accept the terms and conditions and click on “Request postcard”. 5. Postcards can take up to two weeks to arrive. Once received, simply visit the link on the postcard sent (or click on “Unverified” from your Google+ page) and enter the verification pin to complete the verification process. Another downside for local businesses with multiple locations – Google+ pages at present time can only be linked to one location, nor do they support local businesses servicing areas with hidden addresses. There will no doubt be more updates to Google+ Local to accommodate all local businesses. If you’re on Google+ already, make sure you also follow E-Web Marketing!